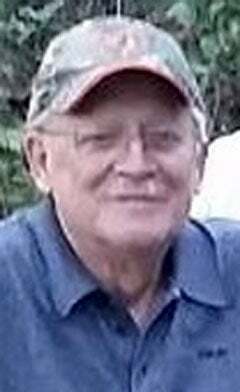 FARMINGTON – Lyle Leo Rich, of Farmington, passed peacefully on April 1, 2019, in hospice at Jefferson Barracks at the age of 73. He was born January 17, 1946, at Belleview to the late Logan Rich and Thelma (Lambert) Rich. Lyle graduated from Valley High School in Caledonia in 1963. He served his country in the United States Army where he served in Vietnam and he was the recipient of the Purple Heart award. Lyle moved to St. Louis where he worked in the auto parts industry. Retirement in 2009 brought him back to the country where he could watch the wildlife, catch fish, spend time with family and bake cookies. He loved researching the family tree and was a member of the historical societies of St. Francois, Reynolds, and Iron Counties. He was an active member of the Veteran’s community in and around Farmington. A lifetime member of the VFW, American Legion and DAV, he could be found the first Friday of every month cooking in the kitchen for the dance and in area cemeteries on Memorial Day with his friends in the honor guard. He frequently took batches of homemade cookies to the nurses when he went to the VA hospital for treatments. Lyle was selfless with his time and a good friend to anyone he met. Survivors include two daughters, Laura (Jonah) Datz and Becky (Mike) Ferris; three grandsons, Samuel Rich Datz, Liam Lyle Ferris and Rory Calvin Ferris; brothers, Gene (Phyllis) Rich, Logan (Nancy) Rich and Jerry (Beverly) Rich; former wife and good friend, Betty (Hinson) Rich and numerous beloved nephews and nieces. Friends may call on Friday, April 5, 2019, beginning at 1 p.m. until the funeral service at 3 p.m. with Chaplain Francis Roberts officiating. Memorials, if desired, may be made to Fisher House of St. Louis, #1 Jefferson Barracks Drive, St. Louis, Missouri 63125. View the tribute video and share your condolences at cozeanfuneralhome.com.